I remember the song 'Radio's on' by Promises best for a home-made remix of Queen's 'Radio gaga' which was played on Dutch radio in 1984. The intro consisted of several radio-inspired song snippets, seemingly played while someone was dialing the radio. The song was never a hit, unlike Baby it's you, which I bought in 1989. Yep, 27 years apart - that surely must be some kind of record, right? 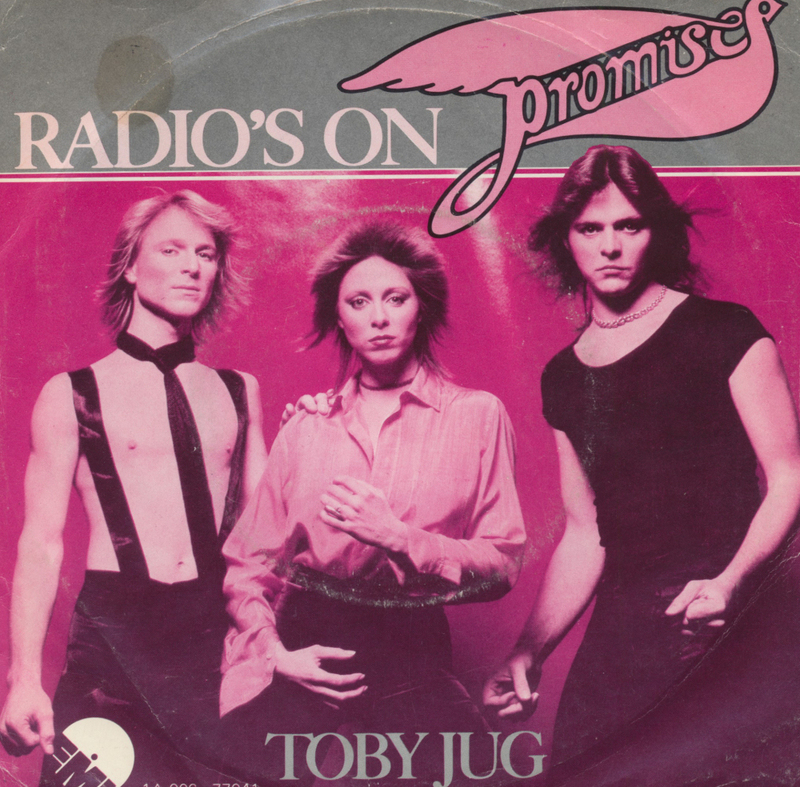 Promises was a Canadian based pop group which was founded 1978 in Thousand Oaks, California. 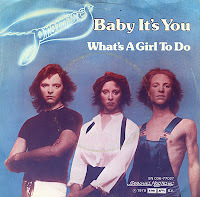 The members were the siblings Leslie Maria Knauer (born August 20, 1957, Vancouver, vocals), Jed Knauer (born July 17, 1955, Toronto, guitar, piano) and Benny Knauer (born October 21, 1958, Vancouver, keyboards). 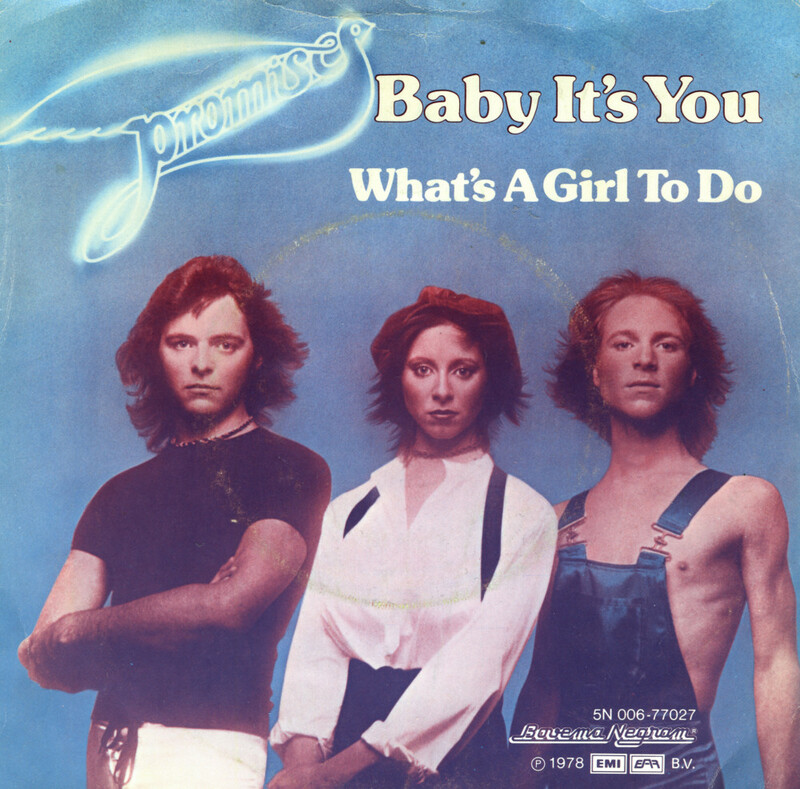 Their album 'Promises', which was recorded by EMI Electrola record producer Steve Verroca became a flop in the USA and in the UK but their single 'Baby It's You' became a hit in Europe. It reached number 4 in the German singles chart and number 17 in the Dutch Top 40. After the second single "Let's Get Back Together" became much less successful (only number 18 in Germany), the group split.